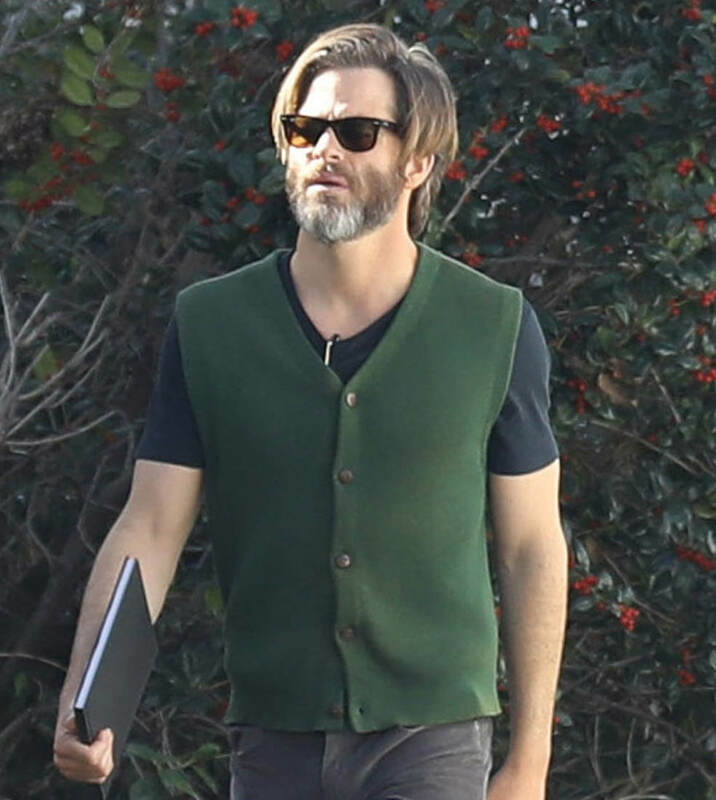 I know people who have it bad for Chris Pine. This has not been my experience. 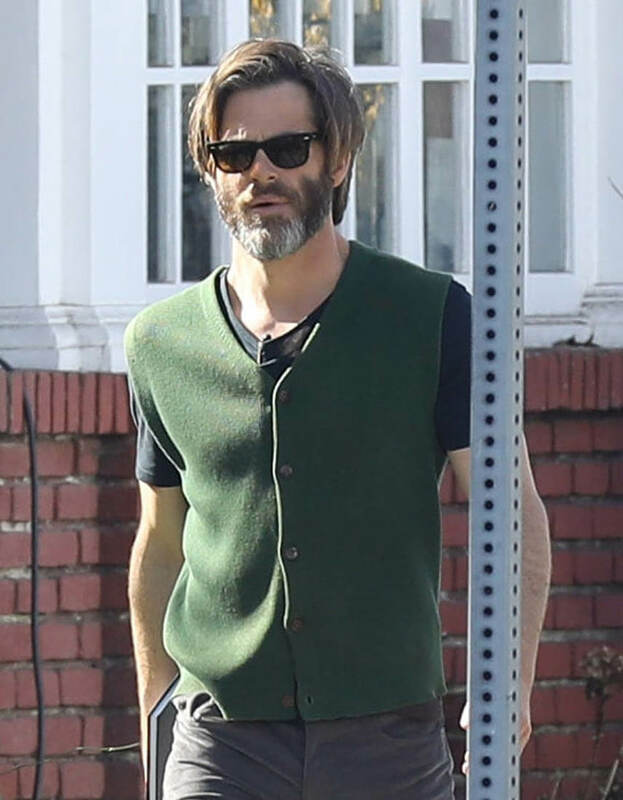 That’s not to say I can’t with Chris Pine. But that I’ve never actually felt one way or another about him. When I see Chris Pine, my reaction, almost always, is “Oh yeah, Chris Pine”. 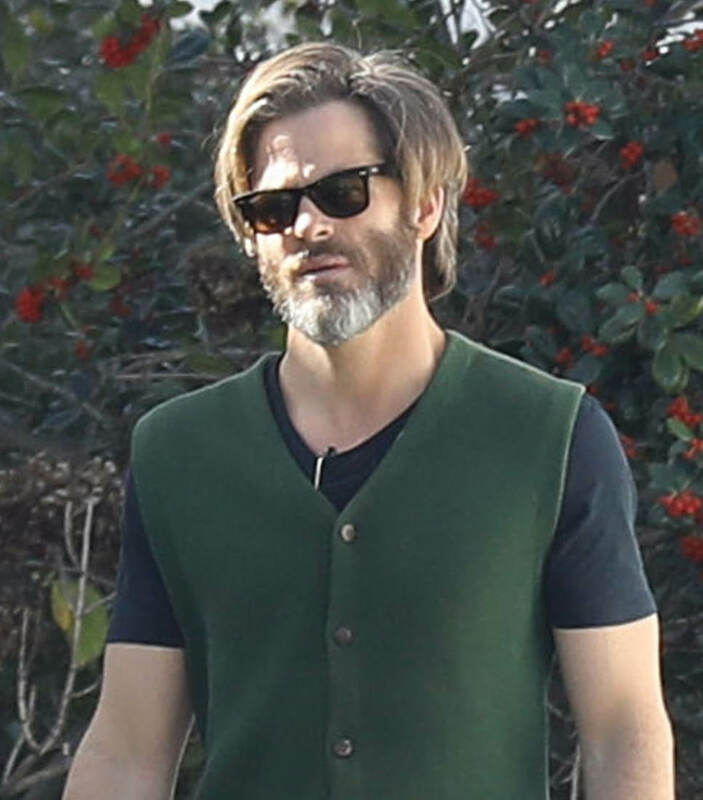 Today is the strongest I’ve ever felt about Chris Pine. 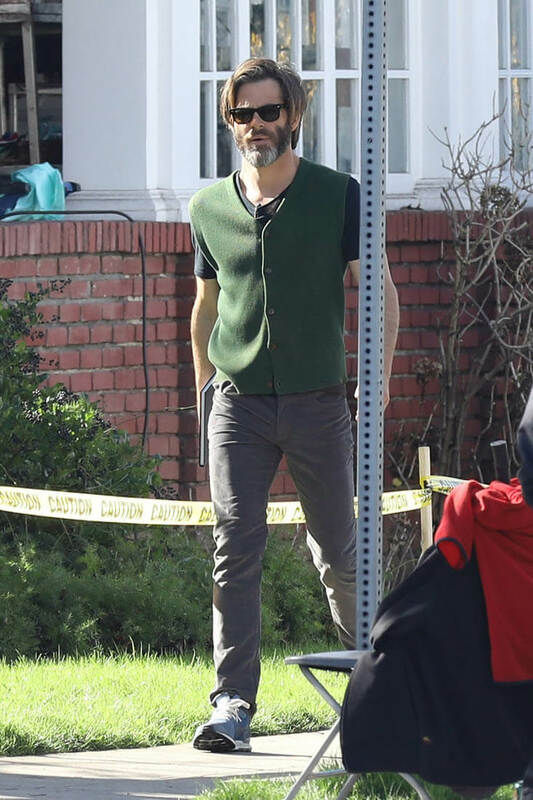 And it’s all to do with his green cardigan vest. 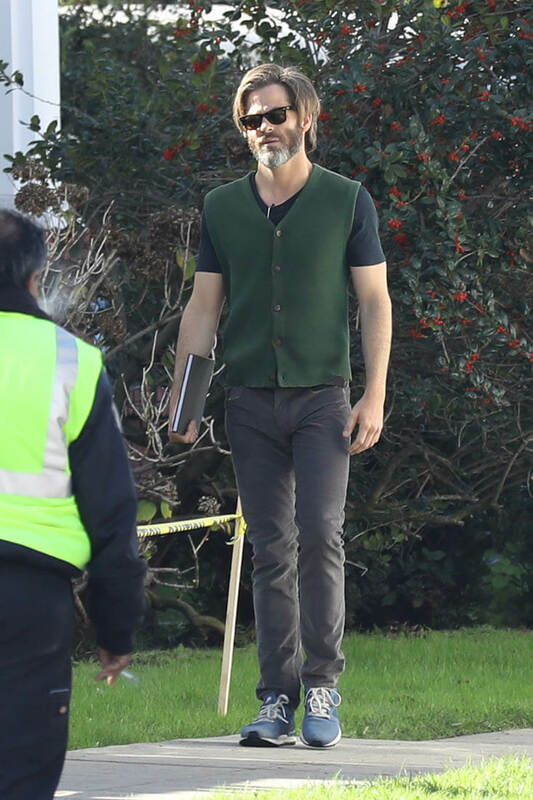 I do not hate this green cardigan vest. 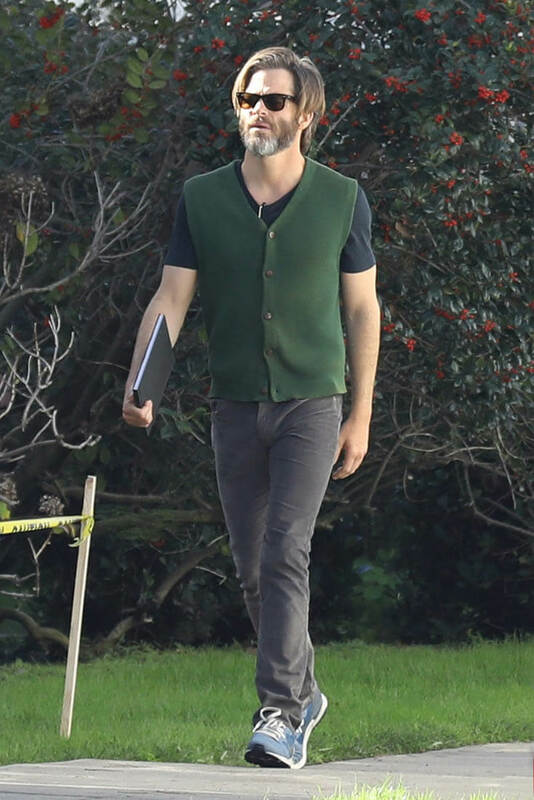 Maybe it’s because he’s wearing a green cardigan vest while holding onto a notebook. And today, I think I need to believe that men can do more than recite slogans from baseball caps, even if it’s just a prop. I don’t know about the hair. The hair reminds me a little of Gwyneth Paltrow’s in Sliding Doors, a style later bastardised by that Kate woman who had all those babies on that reality show and her last name escapes me right now. 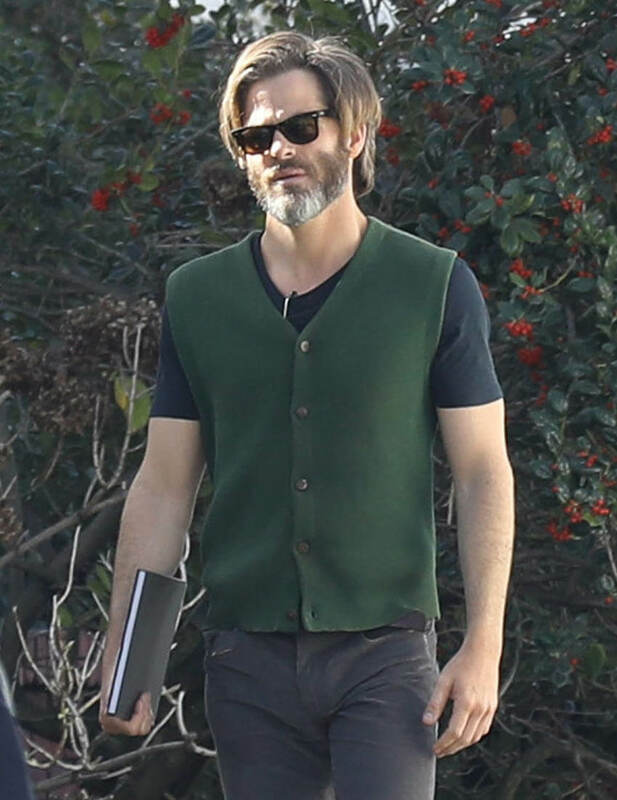 Anyway, this is Chris Pine on the set of A Wrinkle In Time yesterday, directed by Ava DuVernay. Ava DuVernay, the boss of a major motion picture with a budget of $100 million. Ava DuVernay, always working.